These products are available at our retailers all over Europe. Please contact us for information on a retailer close to your! An effective layered sound insulator that will also block low frequencies. Used in applications such as the engine compartments of vessels and vehicles, compressors and aggregates. 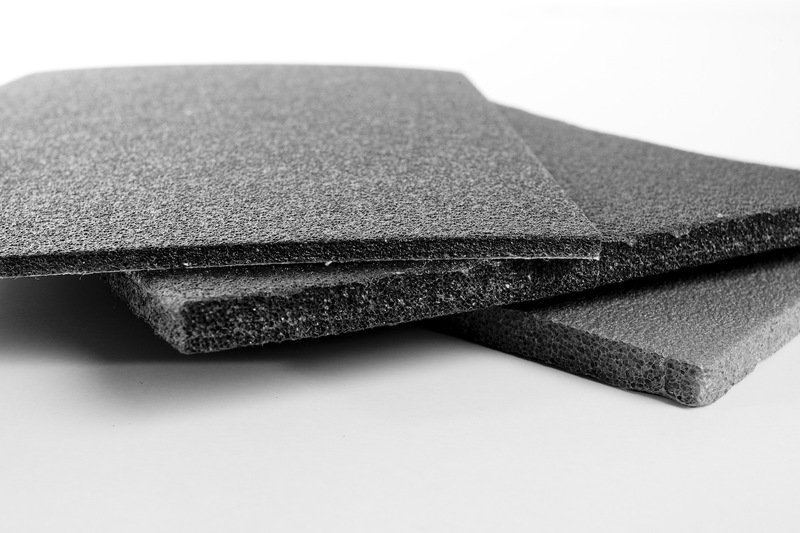 An effective sound absorbent manufactured from recycled polyurethane foam. Used in applications such as the engine compartments of vessels and vehicles, compressors and aggregates. An effective sound insulator manufactured from recycled polyurethane foam. Used in applications such as the engine compartments of vessels and vehicles, compressors and aggregates. Particularly suited for dampening resonance in light structures. Improves the insulation of airborne sounds and absorbs structure-borne sounds. Sound absorption material for dry applications. Examples include heat insulation and sound absorption for a vehicle floor. Sound insulation material for dry applications. Examples include heat and sound insulation for a vehicle floor. Heat insulation material that absorbs nearly no water. Applications include bulkhead of a boat and bedding. For closing the seams of vana or recycled foam sheets. Designed and developed in cooperation with Finnish boat manufacturers particularly for use as an upholstery material in boats.